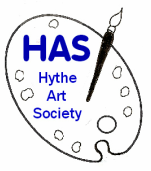 Our Art Society was formed in 1965, and is now a thriving, well-supported Society. (Lift and disabled parking available). then a separate workshop on the alternative Wednesdays, where members can try out new techniques with a workshop host or ‘do their own thing’. For a details of our next meeting, please see the programme in the section "Events & Meetings" for this year. We also have a Summer outdoor painting programme from June to September. ​and we have various other art-related activities and events through the year. ​where members are encouraged to show and sell their work. Annual subscription is £25 per year, and we welcome all ages and abilities. ​we will be in touch as soon as possible.